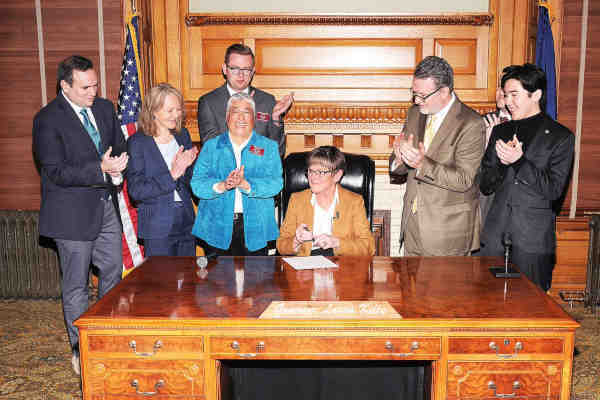 In her first official act as Governor, Kansas Governor Laura Kelly, a Democrat, on Tuesday signed an executive order prohibiting discrimination based on sexual orientation and gender identity in state employment. In 2015, Republican Governor Sam Brownback eliminated such protections. Former Governor Kathleen Sebelius, a Democrat, was the first governor to sign such an order in 2007. “Discrimination of any kind has no place in Kansas. It will not be tolerated,” she added. According to The Wichita Eagle, Kelly's order also extends to businesses that have contracts with the state. “It's an important message to businesses and everybody else in Kansas that this is going to be a place where fairness and equality are valued and promoted,” Tom Witt, director of Equality Kansas, is quoted as saying. Democratic Representatives Susan Ruiz and Brandon Woodard, Kansas' first openly gay lawmakers, have said that they will introduce an LGBT-inclusive statewide non-discrimination bill. Kelly has promised to sign such protections into law. In recent weeks, governors in Ohio, Michigan and Wisconsin have signed similar executive orders.